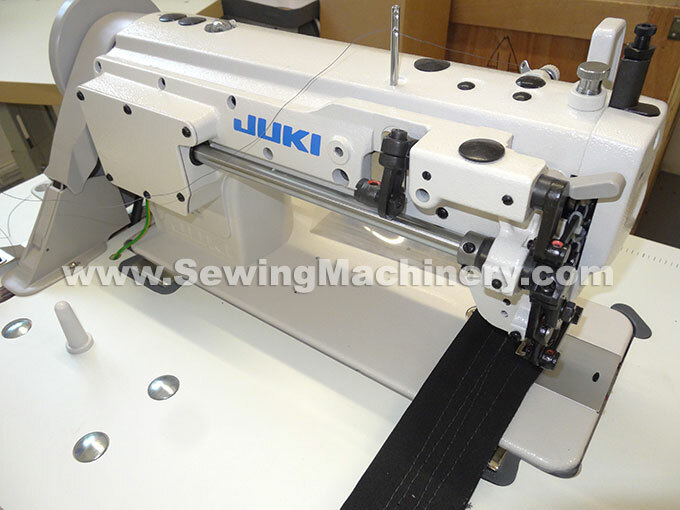 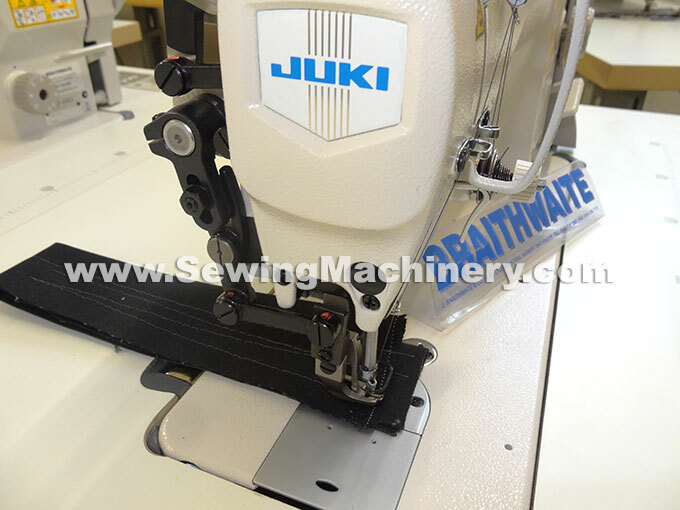 Juki DU-1181N single needle lockstitch industrial sewing machine which features a strong top and bottom feed system for use when stitching hard to feed or multi-layered materials. 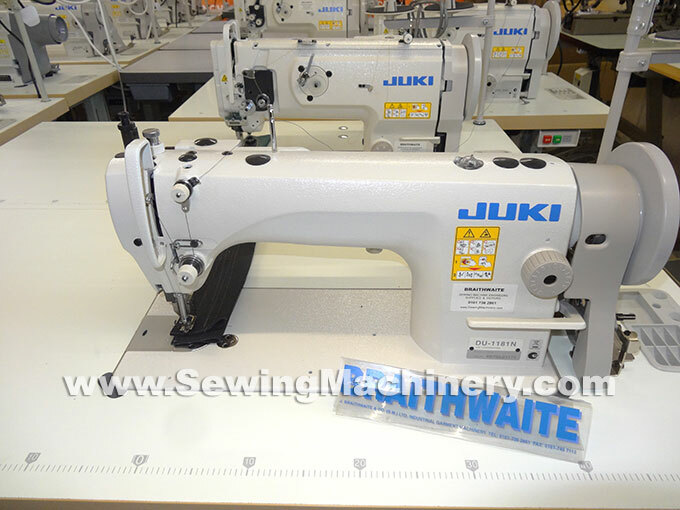 This Juki model has up-to 15mm foot lift clearance, up-to 9mm maximum stitch length capability, a large horizontal axis hook and automatic oil lubrication as standard. 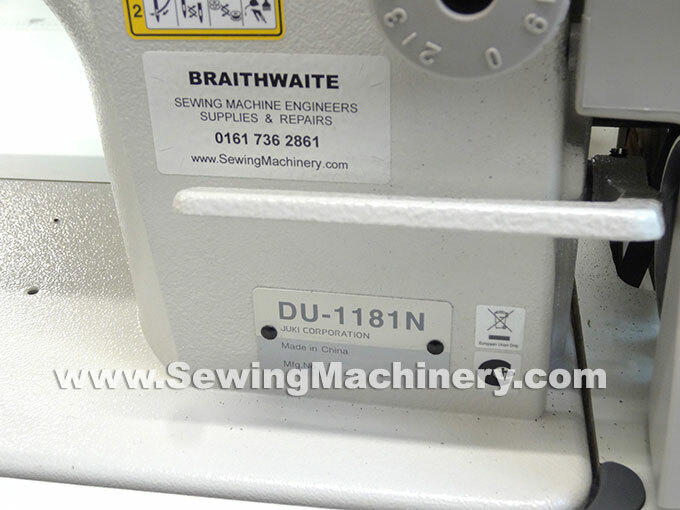 Available from Braithwaite's complete on unit stand with makers accessories and warranty.